Book Two of the bestselling Loving Husband Trilogy - "Author Meredith Allard's sequel to Her Dear and Loving Husband is a triumphant follow-up!" (AOBibliophile)How far would you go to save the one you loved?After many lonely years, vampire James Wentworth's life is falling into place. Together with his wife, Sarah, he has discovered the meaning behind her nightmares about the Salem Witch Trials, and now they are rebuilding the life they began together so long ago. But the past is never far behind for the Wentworths. While Sarah is haunted by new visions, James is confronted with painful memories from his time with the Cherokee on the Trail of Tears. Through it all, the persistent reporter Kenneth Hempel reappears, still determined to prove that vampires walk the earth. If Hempel succeeds in his quest, James and Sarah will suffer. 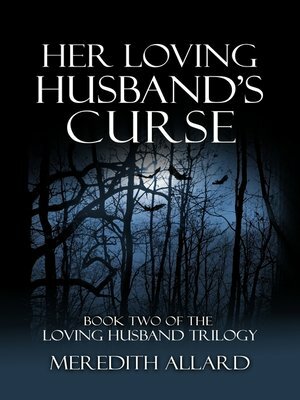 Will the curse of the vampire prevent James and Sarah from living their happily ever after?Evoking comparisons to Deborah Harkness' All Souls Trilogy and Diana Gabaldon's Outlander series, Her Loving Husband's Curse is a story for anyone who believes that true love triumphs over all. Continue the romantic journey with James and Sarah in Her Loving Husband's Curse and be swept away by the power of this eternal love story.